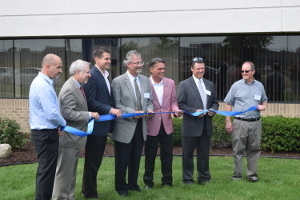 Warren, Michigan — Aug 16, 2016 — Recently Coliant Group (parent company of Powerlet/Luggage Electrix/Atomic Skin/LayStitch) opened the doors of their new facility that will serve as our world headquarters located in Sterling Heights, MI. The weather for the Ribbon Cutting Ceremony couldn't have been any better and made a successful event even better. The guest list included investors, local dignitaries, customers, vendors and employees from all over the country for the mix and mingle.